Jenn Swisstack (who was covered earlier this year here) of Squid Ink Designs has a few must-have custom pieces of horror art that will look good under any Christmas tree this season. 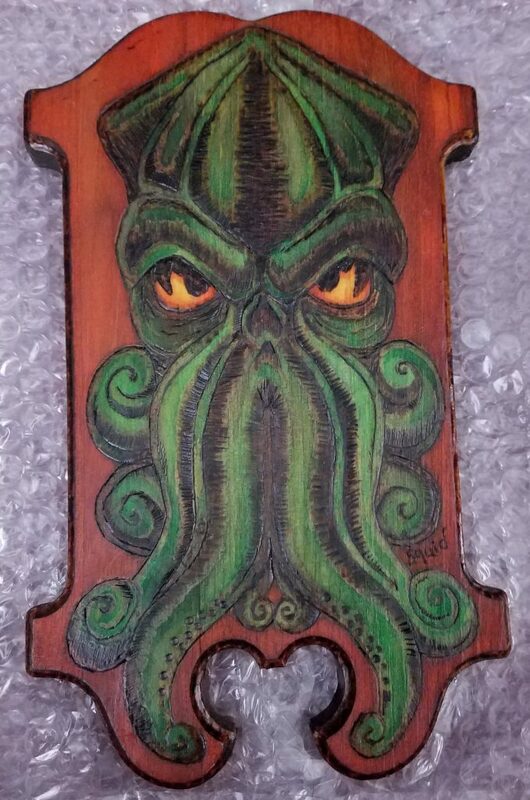 These holiday gift ideas may appeal to horror and Lovecraft fans alike, I’m talking about Squid Ink’s CUSTOM HORROR WOOD BURNED AND HAND PAINTED PLAQUES, guaranteed to horrify your walls. 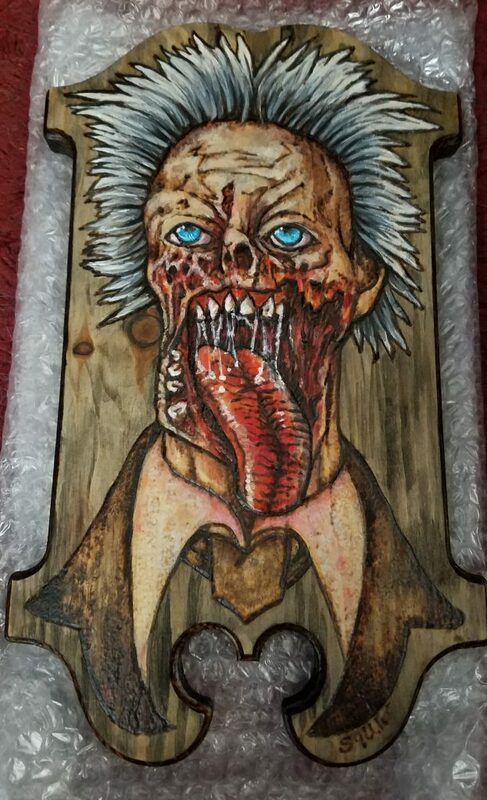 The impressive horror plaques cover decades of great horror characters, such as DR. TONGUE from Romero’s Day of the Dead. This wood burned, hand-painted friendly little zombie would love to adore a collector’s wall, just be sure to have a mop handy, as he drools. This plaque measures 13 inches X 8 inches and is available right now for $95 USD (shipped in the continental United States). 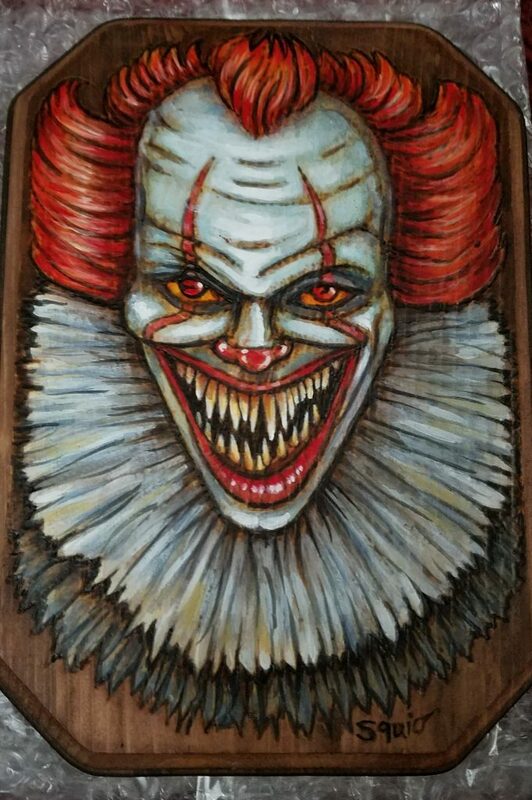 IT (2017) – PENNYWISE – This 9.5 inch x 6.5 inch plaque has immortalized Stephen King’s clown showing off his razor sharp chompers. Gift this one to a horror fan who likes both clowns and scaring the crap out of grandma as she tries to guess which member of the family IT is. Bring “Uncle” Penny home this holidays for $80 USD (Shipped in the continental United States). PUMPKINHEAD – Everyone needs a little Pumpkin for Christmas. 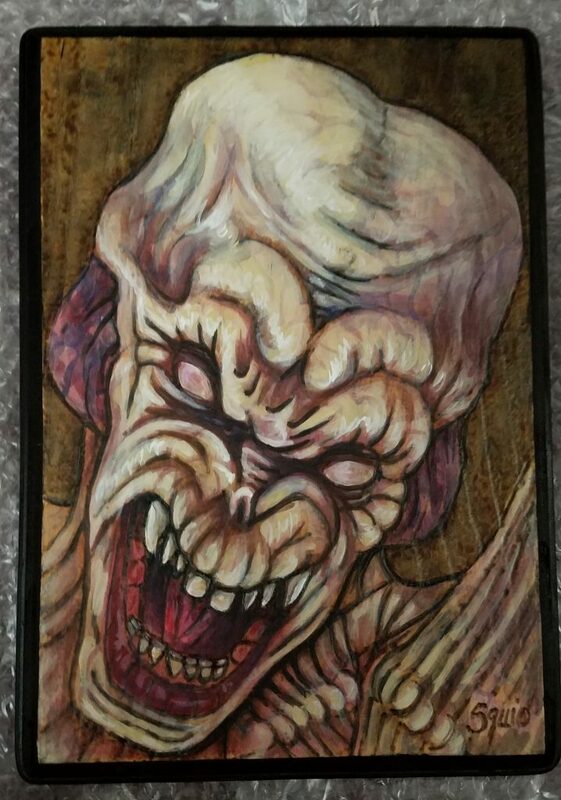 This magnificent rendition of Pumpkinhead was burned and painted with a great detail and brings the plaque to life (which may or may not be a good thing if you’ve seen the movie). Measuring 9.5 inches X 6.5 inches, this unique collectible based on a unique monster is dying to make an appearance under so lucky horror fans pumpkin patch for a price of $80 USD (Shipped in the continental United States). Cthulhu – Bring forth the cosmic entity and set him free for the holidays! 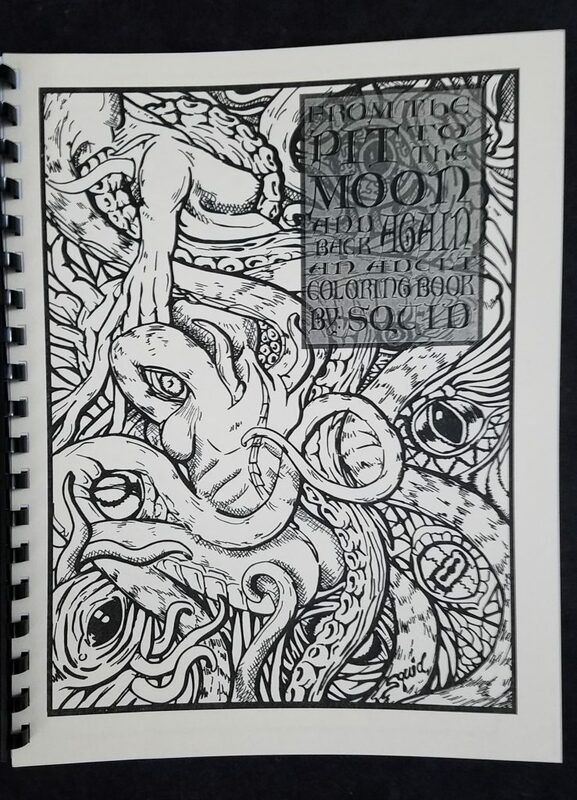 This plaque by Jenn really shows off a great deal of talent while still staying true to Lovecraft’s most notorious creation. The burn and paint has a staggering amount of detail, if you look closely at the eyes, you see flames. This custom made collectible by Squid Ink Designs measures 10 inches x 5 inches. Call this Cthulhu home for the holidays or gift it to a fellow Lovecravtian for $80 USD (Shipped in the continental United States). 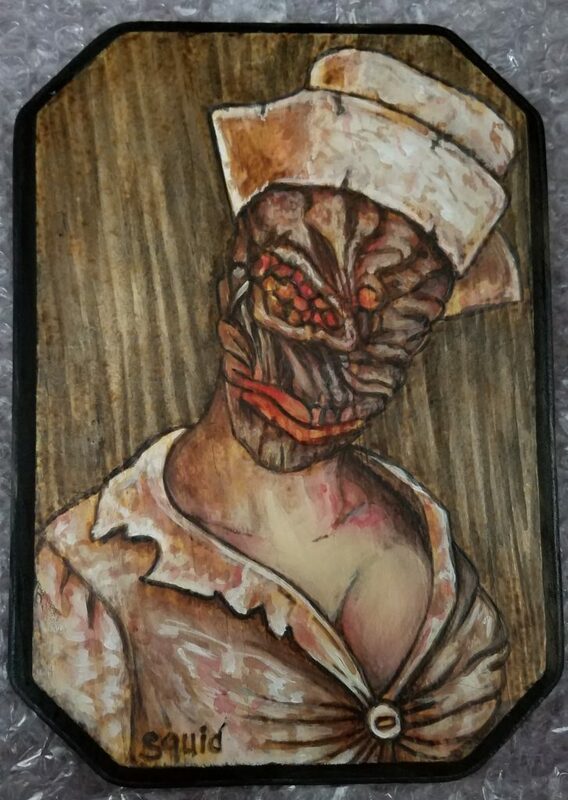 Other available CUSTOM HORROR WOOD BURNED AND HAND PAINTED PLAQUES with the 9.5 inch x 6.5 inch dimensions include Fishman (based on works by H.P Lovecraft), Silent Hill Nurse (based on a character in the video games and movie). Either of these exceptional collectibles are $80 USD (Shipped in the continental United States). 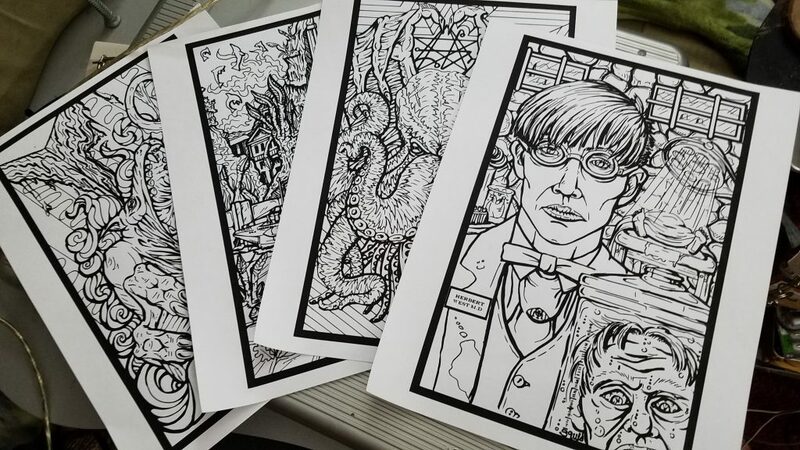 Finally, why not check out a couple of coloring books illustrated by Jenn Swisstack like THE LOVECRAFT COLORING COMPENDIUM (which feature a scene from a different Lovecraftian tale) and FROM THE PIT TO THE MOON AND BACK AGAIN (which feature assorted drawings of the horrific nature). Have loved ones color the night away on durable cardstock paper, bring one of these two coloring book home for $20 USD each.